than any other review company. Merchant Reviews are reviews we collect from your customers regarding their overall shopping experience. We use a proven 2-step process. Our initial survey collects information right after they buy, and then we send a full survey via email once they receive their order. We then syndicate your reviews to multiple locations in Google, Yahoo and Bing. When it comes to collecting merchant ratings and reviews, the service provider you choose makes ALL the difference. For example, clients that switch to Shopper Approved from other competing services consistently collect up to 70x more ratings and reviews than they did with their previous provider. 70x more merchant ratings and reviews means 70x more social proof for your business..
With all this incredible feedback, you need some amazing places to share it. 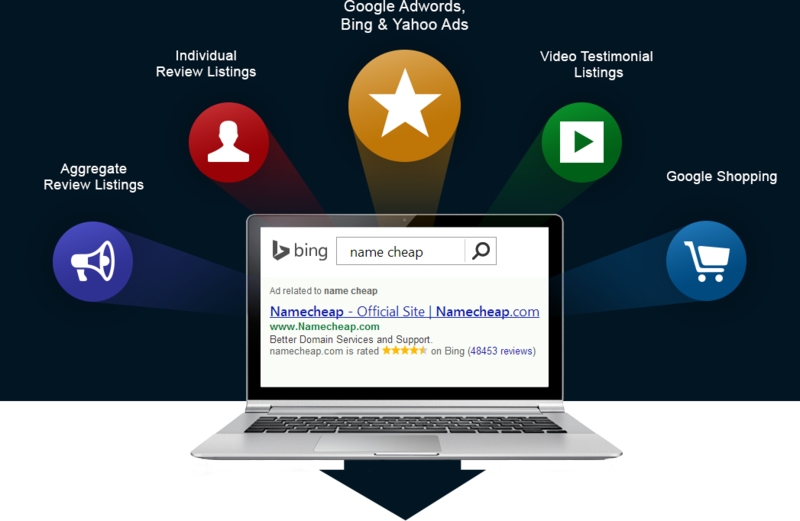 Thanks to our agreements with Google, Bing and Yahoo, we’re able to directly syndicate and display your 5-Star listings in more places than any other review site, including Google Adwords, Google Shopping, Bing and Yahoo Ad Networks, along with multiple organic search locations in Google, Bing and Yahoo. 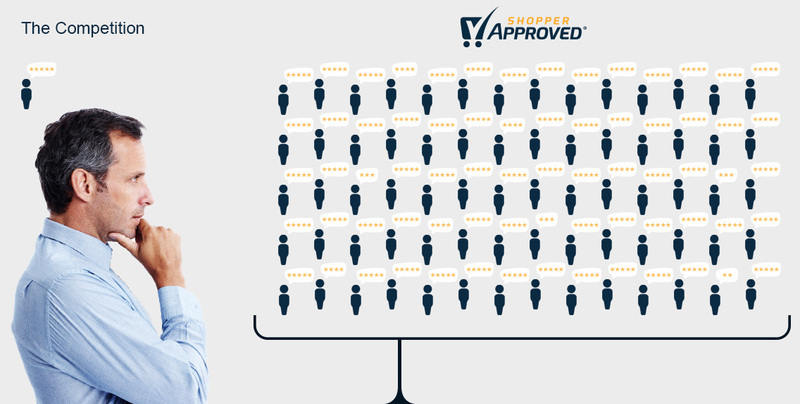 "Shopper Approved has allowed us as a small business to have an ‘Amazon-Like’ effect on our new clients..."
of all ratings in the Shopper Approved system are either 4 or 5 star ratings. out of of our client's customers surveyed said they're more likely to buy from a website that displays the Shopper Approved Seal. of all ratings in the Shopper Approved system are 1-star ratings. 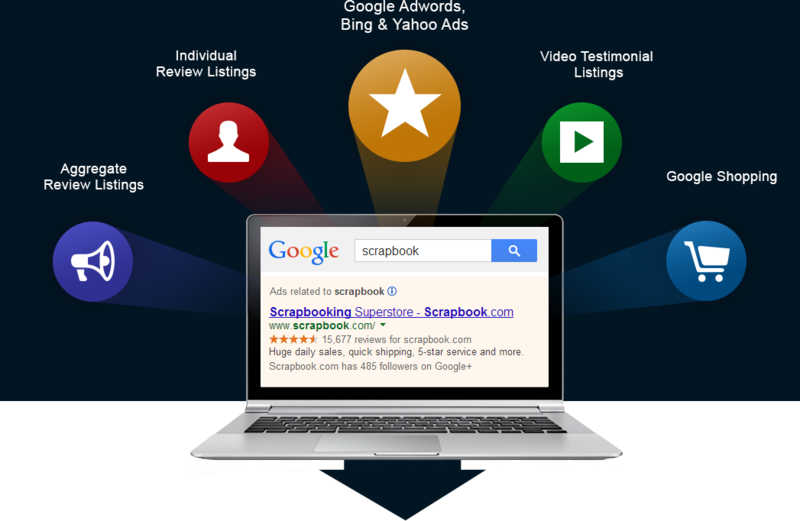 It's time to take your Merchant Reviews to a whole new level.